Wizz Air Holdings announced that it will be further restructuring the Group’s operations in Ukraine. From 20 April 2015, Wizz Air Hungary will operate 8 routes into and out of Ukraine, to be followed by opening a Kiev base with one Airbus A320 aircraft on 4 June 2015. Also from 20 April 2015, Wizz Air Ukraine – currently flying two aircraft on 16 Ukrainian routes – will cease operations. 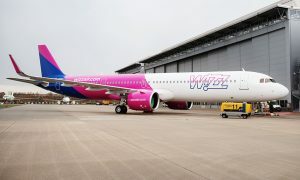 The second Airbus A320 aircraft currently based in Kiev will be redeployed to Wizz Air’s new operating base in Kosice, Slovakia, which will start operating new routes from Kosice to Milan Bergamo and Sheffield-Doncaster in early June 2015. 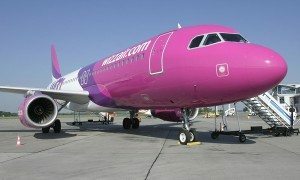 Following the removal of two aircraft from Ukraine last year, further capacity refinement and restructuring of Wizz Air’s operations in Ukraine were needed due to the ongoing instability in Eastern Ukraine, the devaluation and volatility of the local currency and the impact of foreign exchange controls. 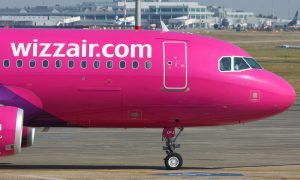 Wizz Air Hungary’s operation will significantly mitigate these impacts and enable Wizz Air to remain one of the major airlines in the Ukrainian market and stand ready for expansion once market circumstances improve. The restructuring of the Group’s Ukrainian operations and the closure of Wizz Air Ukraine will not have a material effect on the Group’s trading in the current year and subsequent financial years.